The Cancer Prevention and Control research program coordinates and promotes all of the cancer prevention and control-related research activities within the Winship Cancer Institute of Emory University. The Cancer Prevention and Control Program capitalizes on being in a major research university with schools of medicine and nursing and a highly ranked school of public health from which to build a cancer center program that addresses a full spectrum of cancer prevention and control research. The broad, long-term goals of the Cancer Prevention and Control Program are to reduce cancer risk, incidence, morbidity, and mortality, and to improve the quality of life of cancer patients and survivors in Georgia and beyond. Cancer Epidemiology, Biomarkers, and Chemoprevention: Describing and tracking cancer incidence and mortality trends of all cancers; conducting population-based etiologic research in humans; and conducting chemoprevention trials in Georgia and in national collaborations. Health Behavior Research: Conducting population-based research that applies social science research methods, including theories of human behavior and rigorous measurement, to preventing cancers and detecting them in an early, treatable stage. Symptom Management and Control: Conducting research that characterizes the scope, mechanisms, and consequences of behavioral co-morbidities in cancer patients, while also identifying patients at risk for these co-morbidities and developing novel pharmacologic and non-pharmacologic prevention and treatment strategies. Health Outcomes and Quality of Care: Conducting population-based research that describes, interprets, and predicts the impact of interventions and other factors on cancer outcomes important to decision makers. In addition to these four primary scientific themes, research involving inflammation/oxidative balance, biomarkers, and health disparities represent inter-thematic common elements that are also serving to promote inter-programmatic collaborations. The Cancer Prevention and Control Research Program is led by Timothy Lash, DSc, MPH. 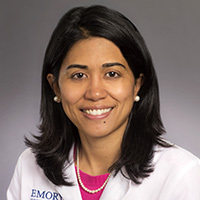 and Mylin Torres, MD, whose primary responsibilities are to define, guide, and oversee the program's scientific productivity and development. Cancer Prevention and Control program members are continuously publishing landmark research in high-impact scientific journals. To learn more about the Cancer Prevention and Control research program at Winship Cancer Institute, please contact Dominique Claude Lavoisier at (404) 727-2658. 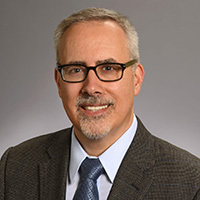 Dr. Lash leads the Cancer Prevention and Control program, which coordinates and promotes all of the cancer prevention and control-related research activities at Winship.